I believe in the Social Media Revolution. If you have any doubts, I recommend that you watch the video below titled "Social Media Revolution" created by the author of Socialnomics: How social media transforms the way we live and do business , Erik Qualman. I mention the video for two reasons. 1. We tried to show it during our Surfaces 2010 Marketing In A Recession 101 workshop on 2/1/10. Unfortunately, we lost the connection early on and had to keep moving with our presentation. 2. The data is intensely compelling. 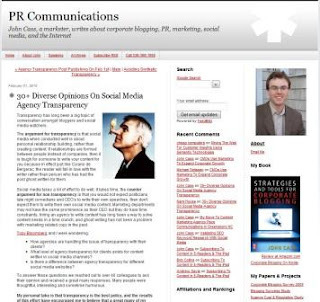 Erik Qualman published Social Media Revolution on 8/11/2009. Keep that in mind when you read through the statistics from the video and watch the video. Here is the video: Social Media Revolution: Is social media a fad? 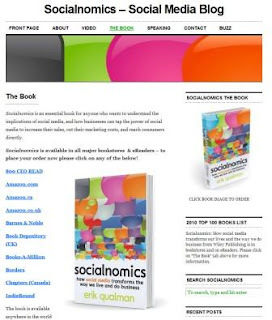 You might want to check out Socialnomics - Social Media Blog and its page full of all kinds of videos and interviews. Now, how might you be part of the Social Media Revolution? Social Media 2 Refresh issued on 5/5/10 with updated statistics. [Here is the link to YouTube for Social Media 2 Refresh. Social Media Guidelines or Policy: How Do I Start? You're ready to get started with social media marketing. You've gone through intense soul searching and decided that engaging with existing and potential customers and sharing valuable, relevant content with them on an ongoing basis is the way to go. An important next step, particularly for a corporate or business blog, is developing social media policy or guidelines. Why? Because they force you to think about scenarios and let you anticipate responses. They allow you to set expectations for behavior and interaction - not too dissimilar from the rules your parents established when you were a kid. Internal social media guidelines mean that everyone in your organization will understand what can be discussed in a public forum and what can't, and how to behave in such a forum: transparently, responsibly and consistently. They are particularly relevant to large organizations where many may engage in industry conversations. In my Solutia days, I had to review and renew the employee code of conduct on a yearly basis. Although social media wasn't specifically mentioned, I understood completely what the communication boundaries consisted of. If I had questions, I knew who to ask and I understood the consequences. I equate this to welcoming someone into your home or store or classroom, offering an overview of where things are and explaining a few rules [i.e., please leave your shoes as the door; here is the lay of the land; please don't interact with the students...]. What I find helpful at this stage is absorbing how other organizations have approached social media guidelines and policy. Not all of what they include may be relevant to me, but their guidelines may remind me of a point I missed or encourage me to address an area I had glossed over. Here, then, are resources/ideas relating to internal and external social media policies. + Diva Marketing's Toby Bloomberg has assembled a marvelous list of social media policy examples. These are real examples from real companies. Note the variety of approaches, but also the commonalities. + I love this Mashable article about 10 Must-Haves for Your Social Media Policy. It includes a video clip of Barry Judge, CMO of Best Buy, explaining how increased transparency and trust provide value to customers. The means to this: the tools of social media. The post also includes a sample internal social media policy. What would you add? Are there other examples you've come across? How did your social media guidelines help you anticipate certain scenarios? I wrote an article for the MProfs DailyFix titled "Which Comes First: the Policy or the Blog?" which refers to a few more examples. Added 3/16/10: just came across PolicyTool for Social Media. If you give it a try, let me know what you think. Added 5/31/10: How to Write a Social Media Policy from Inc.com. 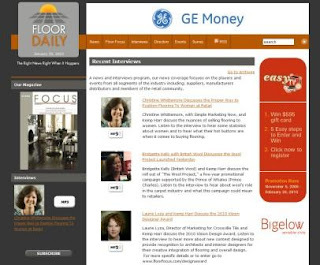 In mid December 2009, Emma Jamieson, editor for Networks Ltd, of a series of flooring trade publications in the UK, contacted me for an interview for the launch of a quarterly online magazine titled E-Floors. It's the only quarterly magazine for the digital flooring industry. The interview has just published in the inaugural February 2010 issue of E-Floors [see pages 14 and 15]. Emma's focus was on flooring retailers and how they might make better use of digital technologies to strengthen relations with customers. 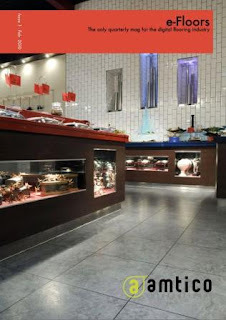 I was intrigued as I hadn't had many opportunities to compare flooring retail experience notes beyond the US, let alone hear about the use of social media. Why haven't more flooring companies gotten involved in the Internet's vast array of opportunities, including social media marketing? How am I monitoring performance (e.g the Social Flooring Index, etc.) and improvements? How effective is social media to "befriend" the consumer, gain their trust, act as a trusted adviser, thus driving consumers to the store and retaining their loyalty? What flooring examples have I come across in the US that are making efficient, remarkable use of online opportunities? Who is the flooring consumer of tomorrow? What will their shopping habits be, what will they expect as far as customer service, online retail experience, etc? How do we approach them? I thoroughly enjoyed exchanging perspectives with Emma. The interview is also available on Interior Floors. Many thanks, Emma Jamieson and E-Floors magazine! What do you think of 'transparency' & social media marketing? Have you considered the importance of 'transparency' for your marketing and your social media marketing in particular? As Wikipedia defines transparency, the term refers to "openness, communication and accountability." It's a concept that has become increasingly important in the marketplace as I describe in 2010 Consumer & Marketplace Trends. In a retail environment, transparency means that a customer understands that product pricing is fair, consistent and comparable to pricing elsewhere. In a social environment, transparency means that the person you encounter is the real deal and not pretending to be someone else. And, yet, in a social media marketing environment, transparency isn't always quite as transparent... or is it? What happens when an organization brings in outside expert help? What works? What doesn't? 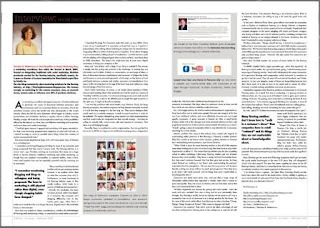 My friend, Toby Bloomberg, author of the inspiring Diva Marketing Blog and John Cass, PR Communications, recently discussed "where does the concept of transparency fits into the new social media marketing model - content developed by people outside of the enterprise." 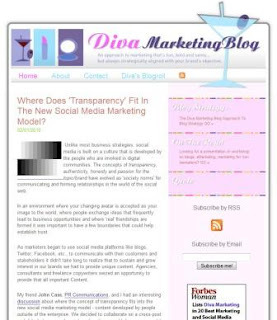 * Bloggers have long discussed the importance of transparency when writing content on a blog. With the growth in the adoption of social media marketing, many marketers now wonder how would they develop enough content for all of their new social media channels. * When a client hires an agency to write content for their blog, twitter account, Facebook page, we are wondering about the level of transparency by an agency writer on a client's social media channel. * We ask you: What are the practices that you think should be followed? Feel free to tell us if you have differences of opinions across social media channels. + Where Does 'Transparency' Fit In The New Social Media Marketing Model? 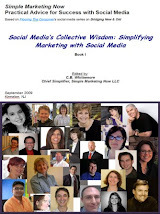 In total, 39 people, all active in social media, shared insights. Their views ranged from total transparency to not necessary. My favorite quote is from Yvonne DiVita who reminds us, " .. in the end it isn't the bloggers, the company or the agency that will dictate the success... it's the customers." Toby, thanks for this timely and relevant discussion. It's interesting to step back and appreciate that social media tools are communication tools [marvelous ones in my opinion!] and they can be used in the traditional push format or to engage & interact & be social. It's a subtle difference if you're in the traditional mindset and a glaringly obvious one if you're already on the social side. To be effective in a social environment, you must be human, authentic, responsive, consistent and genuinely interested. It's what you so often remind us of: it's like being invited into someone's living room. I recently set up the "Social Flooring Index" to monitor the social state of flooring - an extremely traditional industry mostly committed to push marketing. It's been fascinating to observe the process of evolution from traditional to social, and what it takes to get immersed in the social aspect. What this tells me is that the more transparent and authentic the effort, the more credible it is.Better not to delegate all responsibility for your social efforts to 3rd parties who - for the most part - really can't speak competently to your customers. Get guidance, include them, but own it. Thanks again for this marvelous discussion. I encourage you to visit Toby's and John's posts. Read through all of the contributions, including those in the comments. Then, would you let me know what your thoughts are on transparency and social media marketing? BRITE 09 offered me a chance to listen to Jeff Jarvis, CUNY professor, author of BuzzMachine.com and the new book What Would Google Do? and furious consumer behind Dell Hell back in 2005 when Dell hadn't yet realized the importance of customer focus and service in a 'Googly' world. Jarvis is now a Dell fan. In a 'Googly' world, customers are your ad agency. You see, in the Google economy, your worst customer is your best friend - if you listen - and your customer is your ad agency. The more public you are, the more Google juice you have, and the more Google juice you have, the more likely you are to be found on Google. Brands, by the way, are your people and your customers. 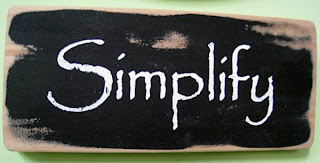 Brands stand out by simplifying, helping people do things better and getting out of customers' way. + Google facilitates search and discovery; the more we are able to see the world as Google does, the better we will be able to connect with customers. + Small is the new big. It is successful when it is part of bigger networks. Mass markets are dead; we have never liked being lumped into masses. They have been replaced by a mass of niches. + Google commodifies everything. Standing out means managing abundance rather than scarcity. + When you start to trust people, they trust you back. That requires listening. When you hear customers, they make suggestions and co-create solutions rather than complain. + Google is transparent in its habit of releasing betas. In so doing, Google acknowledges that it is far from perfect. Betas demonstrate humility and imperfection and a willingness to collaborate for improvement. There's more. 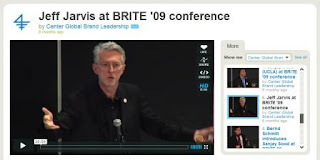 I recommend that you listen to the 20 minute video presentation of Jeff Jarvis video at BRITE 09 and review the Slideshare of What Would Google Do, the PowerPoint presentation. 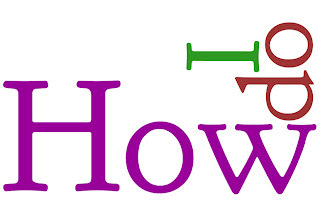 Last, but not least, here is a link to the book What Would Google Do? What do you plan on doing differently? By the way, Jeff Jarvis is scheduled to return to BRITE '10 which takes place March 31 - April 1, 2010. That's something to look forward to! Many home focused industries share interesting dynamics. They sell predominantly to women, yet manufacturing and retailing is mostly done by men. You can imagine the friction inherent to the resulting retail experience -- as is often true in flooring. On January 23, 2010, I had the opportunity to touch on the very subject of women, flooring and the retail experience at the Big Bob's Flooring Outlet Annual Meeting in my presentation titled Flooring The Consumer: In-Store and Online. Thanks to Kemp Harr from FloorDaily.net, here are some highlights to share with you from 1/29/10. Christine Whittemore, with Simple Marketing Now, and Kemp Harr discuss the nuances of selling flooring to women. Listen to the interview to hear some statistics about women and to hear what their hot buttons are when it comes to buying flooring. 88% of retail customers in the U.S. The importance of product quality [i.e., 'value' does not necessarily mean cheap]. Women pay attention to details, so be sure to have a consistent in-store and online experience. Kemp's description of the interview: David Elyachar and Scott Perron discuss the highlights of their 17th Annual Convention. Listen to the interview to hear about how this year's convention focused on selling to women and also what their outlook is for 2010. As I detailed in Women: Separate, Equal & Consumers Worth Appealing To, there's definitely opportunity associated with focusing on women and improving the retail experience in flooring and other home related categories.